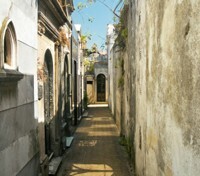 Discover the charms of Buenos Aires’ stylish neighborhoods and San Telmo’s subterranean passageways. 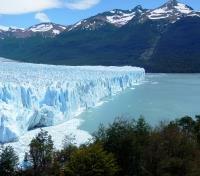 Encounter the massive Glaciar Sur Pioneros near El Calafate. 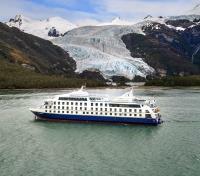 Explore the fascinating seascapes and fjords of Tierra del Fuego on a four-night Patagonia cruise. 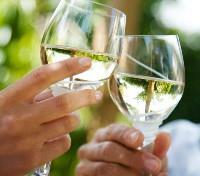 Sample Chilean delicacies and delicious wine in Santiago. 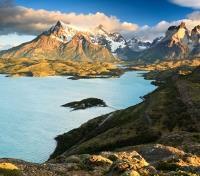 Patagonia, the southern edge of South America, is so wild and vast a single country can't contain it. Shared by both Chile and Argentina, this majestic land of enormous glaciers, wide-open skies, and magical fjords is adventure incarnate. Come along with us and discover Patagonia’s savage beauty by land and sea on a tour bookended with unforgettable moments in bustling Buenos Aires and enchanting Santiago. 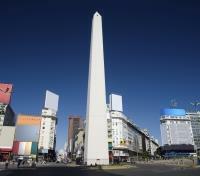 We begin in Buenos Aires, the most European of South America’s cities, with a private tour of the Argentinan capital’s trendy neighborhoods, historic sites, and recently unearthed subterranean passageways beneath the narrow cobblestone streets of San Telmo. You’ll also be treated to a sizzling tango show over dinner before moving on to your next stop: El Calafate. The entrance to Argentinian Patagonia, El Calafate retains its rugged frontier-town appeal with all sorts of modern accents. Here, you’ll be treated to stunning views of this remote paradise on a tour of Glaciar Sur Pioneros and its gorgeous network of glacial lakes and canals. 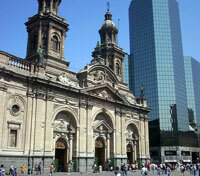 The adventure concludes back up north in Santiago, the Chilean capital. Here, you’ll get to know this fascinating city through a private tour of its gastronomic hotspots and bustling markets before unwinding in the resplendent Maipo Valley with a private vineyard tour and wine tasting. Located in the sophisticated neighborhood of Recoleta, which is characterized by its neoclassical architecture, the hotel stands out in stark contrast thanks to its contemporary style and its imposing brick facade. 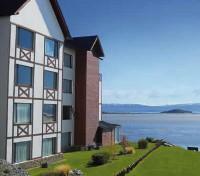 This upscale hotel highlights the best of European heritage, inspired by its Argentine roots. It provides a space for different works by local artists, such as the imposing sculpture by Gerardo Wolgemuth, which takes center stage in the lobby. Allow yourself to be amazed by this five-star hotel's architecture, inspired by a utilitarian style, which will take you back in time to the 17th century, a testament to how such a universal material can be fashionable and retain its value over time. Tonight, you will enjoy a Tango Show and dinner at El Querandi. You will be picked up at your hotel in a private vehicle by a professional driver and a bilingual tour guide. 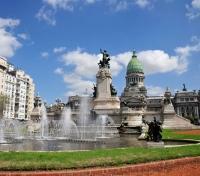 Since 1867, this big old house has been established in the historic center of the City. It was founded as a bar in 1920, restored in 1992 and is now considered a “Living Evidence of the Civic Memory”. Its capacity for two hundred people, seated at individual tables, combined with its wreathed columns, boisserie and deep shaped wood, creates a romantic and intimate atmosphere. There are thirteen artists involved, including four musicians (bandoneón, piano, violin and double bass), six tango dancers, and three singers. This electric show starts at 10 pm and lasts 1 hour and 15 minutes. The A la carte menu offers more than twenty main dishes, “Finca Flichman” wines, beverages and mineral water, Dessert, coffee and a final toast with champagne. 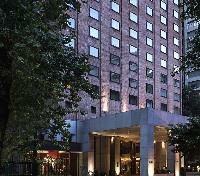 Return to your hotel will be with a private vehicle and driver. Quiet and majestic, Lago Argentino (Argentine Lake) grants Xelena Hotel & Spa that peculiar elegance and beauty conveyed by the Patagonian spirit, designed for guests to enjoy the best landscapes of Argentine Patagonia. Comfort and warmth define the hotel’s personality and make the perfect match with the personalized attention and services that it offers its guests. 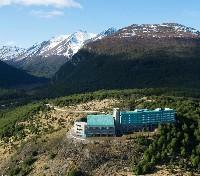 Magic and natural, the Xelena Hotel & Spa on the banks of the Argentine Lake (Lago Argentino), captures unforgettable images that will allow you to experience a personal experience with a unique natural environment. 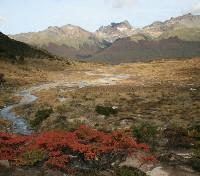 This is the old Estancias route that historically links Patagonian culture, its indigenous peoples, steppe and pioneers. 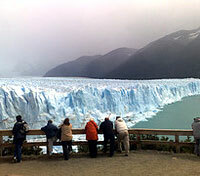 It’s a great option for travelers seeking a more exclusive experience of the area or take advantage of a different vantage point on some of the key landmarks of the National Park Los Glaciares, which runs from the steppe to the Perito Moreno Glacier. Your pick-up from the hotel is around 9 am and the tour follows the route of Patagonian ranches past Lake Roca until you reach the access point to the National Park. Soon after, you arrive at one of the best places to get a taste of the gaucho lifestyle: the Estancia Nibepo Aike. It’s great for horseback riding, and during this visit you can enjoy a sheep shearing demonstration and observe some amazing gaucho skills. 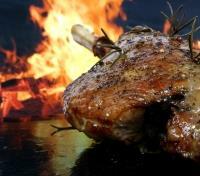 Taste a delicious traditional lunch with salads, Patagonian lamb, fine wines and crêpe de dulce de leche. After lunch you board the ‘Hautal’ a small rubber boat, with a maximum capacity of 14 people and equipped with a cabin and heating system. It leaves from “Pioneers’ Quay” on a circuit that offer you some magnificent vistas on Adriana and Moreno Hill and the Magellan Peninsula until you disembark at De las Monedas Beach. Here you can go for a brief and delightful walk that allows you to appreciate the sheer magnitude of Perito Moreno Glacier as seen from Glaciar Sur. Continue on the boat along the southern front of Perito Moreno Glacier until you reach “Bajo las Sombras” Port, where a vehicle awaits to take you to the traditional viewing catwalks. You have two hours to enjoy this exploration with the afternoon sunlight providing particularly unique glacier views. The tour finishes with a drive back to town and you will have completed a circuit that connects ranches, the Roca Lake, part of Argentino Lake and Perito Moreno Glacier with the nature, history and culture of the area. Only 14 people out of the 2,000 visitors that enter the National Park daily will be able to savor this magic experience, making this a very special tour. Domestic flight between El Calafate and Ushuaia. Flights are subject to availability. The flight duration is approximately 1 hour and 25 minutes. An airport tax of $25- $40 pp is not included in the ticket and must be paid in the airport upon departure. Separate purchase. 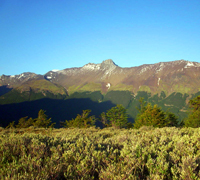 Partake in a half day private tour with your own vehicle, driver and guide to explore the Tierra del Fuego National Park, situated seven miles (11 kilometers) from Ushuaia. 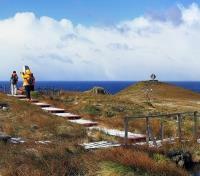 The park was established in 1960 with the intention of protecting the southernmost portion of the sub Antarctic forest and is made up of 63,000 hectares. Unlike many other parks, it combines the ocean, forests and mountains. 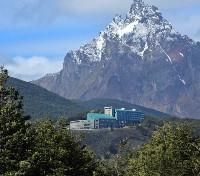 The biological richness of the Tierra del Fuego Island with its beautiful scenery is simply stunning. You can find animals such as red foxes, cauquenes, ducks, Patagonian wood peckers and more than 90 species of birds that are part of the Fuegian fauna, as well as beavers and rabbits, which were introduced to the island by colonizers. The forest is formed by lengas, guindos, ñires and valleys of peat and lichens. Ensenada Bay, Lake Roca and Lapataia Bay (the end of the Pan-American Highway that connects Alaska and Tierra del Fuego) give color to this unique place where we can still find reminders of the ancestral inhabitants: the yámanas. At the end of the tour you will be brought back to your hotel. This morning you will be picked up from your hotel by a professional driver and private guide, then make the trip to Ushuaia. Here, you will visit the Australis cruise terminal to register for your upcoming cruise and drop-off your luggage. Afterward, you will visit the Maritime Museum with your guide and, following this tour, you will be delivered to Casimiro Restaurant. Located just steps from the Australis cruise terminal, here you will be left to enjoy your pre-fixe lunch, after which you will make the short walk to board your Patagonia cruise. Today you’ll check in for your cruise at 409 San Martín Avenue in downtown Ushuaia between 10:00 and 17:00, with boarding beginning at 6 PM. After a welcoming toast and an introduction to captain and crew, the M/N Ventus will set sail for one of the most remote corners of planet Earth. Port charges are included in your itinerary pricing. During the night, the captain will traverse the Beagle Channel and cross from Argentina into Chilean territorial waters. 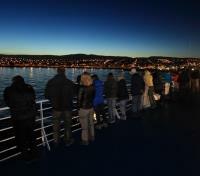 The lights of Ushuaia disappear as the ship turns into the narrow Murray Channel between Navarino and Hoste islands. Ventus Australis – Latin for "Southern Wind" – reflects Tierra del Fuego's distinctive weather, a factor that has long determined the region's socio-cultural development and that so impressed the early mariners who endeavored to explore Patagonia's southernmost waterways. 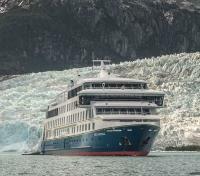 Tailor-made for exploring the remote southern tip of South America, all aspects of this 210-passenger ship - including size, length, draft and engine power - are designed to provide Ventus Australis with the utmost maneuverability necessary to navigate through narrow fjords and channels where no other cruise ships can venture. Experience the remoteness of Patagonia aboard the Ventus Australis, the newest luxury liner to grace the waterways of South America. Around the break of dawn, the M/N Ventus will cross Nassau Bay and enter the remote archipelago that comprises Cape Horn National Park. Weather and sea conditions permitting, head ashore on the windswept island that harbors legendary Cape Horn (Cabo de Hornos). Discovered in 1616 by a Dutch maritime expedition -- and named after the town of Hoorn in West Friesland -- Cape Horn is a sheer 1,394 foot high (425 meter) rocky promontory overlooking the turbulent waters of the Drake Passage. For many years it was the only navigation route between the Pacific and Atlantic, and was often referred to as the "End of the Earth." The park was declared a World Biosphere Reserve by UNESCO in 2005. The Chilean navy maintains a permanent lighthouse on the island, staffed by a light-keeper and his family, as well as the tiny Stella Maris Chapel and modern Cape Horn Monument. Sailing back across Nassau Bay, the anchor is set at fabled Wulaia Bay, one of the few places in the archipelago where the human history is just as compelling as the natural environment. Originally the site of one of the region’s largest Yámana aboriginal settlements, the bay was described by Charles Darwin and sketched by Captain FitzRoy in the 1830s during their voyages on HMS Beagle. 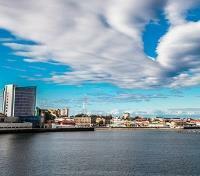 This area is also renowned for its mesmerizing beauty and dramatic geography. After a visit to the Australis-sponsored museum in the old radio station -- which focuses on the Yámana people and European missionaries in the area -- passengers have a choice of three hikes (of increasing degrees of difficulty) that ascend the heavily wooded mountain behind the bay. On each of these, you will stroll through an enchanted Magellanic forest of lengas, coigües, canelos and ferns to reach panoramic viewpoints overlooking the bay. Overnight, the ship will cruise around the western end of Tierra del Fuego via the very narrow Gabrial Channel, Magdalena Channel and Cockburn Channel. After rounding the remote Brecknock Peninsula, the M/N Ventus tacks eastward and enters the Beagle Channel again. By morning, this ship will be entering the Pia Fjord, at which time you’ll board a Zodiacs for a shore excursion to Pia Glacier. After disembarking, take a short hike to find a panoramic view of the spectacular glacier, which extends from the mountaintops down to the sea, or participate on a longer and more difficult walk up a lateral moraine of the old Pia Glacier. No one knows for certain how the hulking mass of snow and ice got its feminine moniker, but one theory says it was named for Princess Maria Pia of Savoy (1847-1911), daughter of the Italian king. Navigating further west along the Beagle Channel, the ship will enter a long fjord and drop anchor near Garibaldi Glacier for another shore excursion. Garibaldi is one of only three glaciers in Patagonia gaining mass rather than staying the same or shrinking. This time you’ll hike through virgin Magellanic forest to a glacial waterfall, a towering wall of ferns and moss, and spectacular viewpoints looking down on the glacier and fjord. The walk is demanding -- very steep, negligible trail, rough footing -- and not for everyone. For those who choose to stay onboard, the captain will point the bow towards the beautiful sky blue Garibaldi Glacier so everyone can enjoy the panoramic view from the upper decks. Early in the morning, the ship will sail through the Cockburn Channel and enter Agostini Sound. From there it is possible to see the glaciers that descend from the middle of the Darwin Mountain Range -- some of them reaching the water. 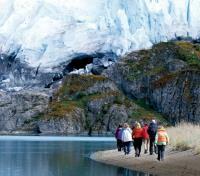 Here you’ll disembark and set out on an easy walk around a lagoon, which was formed by the melting of the Águila Glacier. 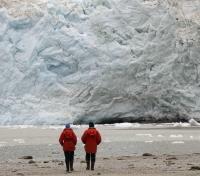 Soon after reaching shore, you’ll reach a spot right in front of the glacier that affords spectacular views. In the afternoon, approach the Condor Glacier via Zodiac and – with luck – see some of the abundant Andean Condors in the area. Enjoy a private pier transfer with professional English speaking guide and driver. To ensure your comfort, an English-speaking guide will be waiting for you outside of Customs holding a sign with your name on it. 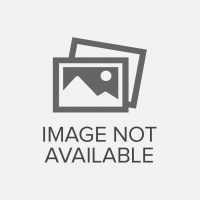 This representative will direct you to your awaiting vehicle and driver, and accompany you to your hotel to assist with check-in. 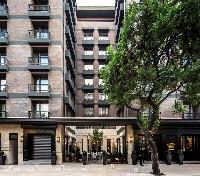 The Singular Santiago is a five-star luxury hotel located in the Lastarria Neighborhood in the heart of downtown Santiago. The hotel was designed specifically to fit seamlessly into this iconic neighborhood, which epitomizes the pride and creativity of the people of Santiago. The rooms and suites at The Singular Santiago offer an alluring blend of the classic and the contemporary and balance modern comforts with the charm of a bygone era. Though the hotel is brand new, your room will have an air of classic comfort. Tasteful touches, rich wood, supple leather, different color schemes and soft lighting create a warm, welcoming environment within which to unwind after a day of exploring the city. Departure from Santiago towards Maipo Valley. Arrival to Santa Rita Winery, to learn about its history. The cellar of this winery, has been declared a National Monument. The Patronal House stands out in a park of 40 hectares, where hundred-year-old trees captivate the attention of its visitors. The winery’s restaurant was also declared a National Monument and is called “Doña Paula” in honour to Paula Jaraquemada, a woman that in the Independence period gave refuge to O’Higgins and 120 of his soldiers. From this historic episode comes the name of one of the most renowned wines of Santa Rita. The tour ends with the tasting of two wines Medalla Real. Finally, you can visit the winery´s museum called “Museo Andino” where you can find a collection of 1.800 pieces of precolumbian art collected by a succesful chilean business man for a time of 40 years. Return to your hotel at 14:00.